Added to my collection recently was a CASINO ROYALE second edition printed in 1953. This is the closest to a real CASINO ROYALE first edition I will ever get. But sadly it does not stop there. My version has a marvellous facsimile dust jacket ordered from the US I have seen the real dust jacket twice in my lifetime and I must say that this is amazingly well done. The only problem is that it is in to good condition. But it is nice to see what it must have looked like in 1953. Secondly my book misses out on page 187-188. The seller wanted £350 for it but I only offered £235 for the book including postage. The seller excepted my offer and it feels like I made a great deal on this book. This should be compared with a first edition of the book in good condition sold recently for £22,000. 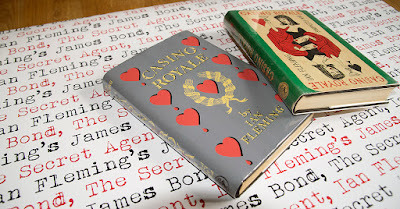 It needs to be mentioned that Facsimile Dust Jackets LLC told me that they had updated the CASINO ROYALE dust jacket some time ago and therefore gladly sent me a new one free of charge. Now that is truly great service compared to many other companies out there. The second edition of CASINO ROYALE was ordered by Jonathan Cape in April 1953 and delivered in May. the total orderd books were 2 300 and the final amount out for sale was 2 264. These printing figures comes from John Gilbert's excellent Ian Fleming: The Bibliography from Queen Anne Press. Out of these 2 264 printed books for sale 64 years ago, I own one of them. Flip or flop, you decide. Leave a comment. 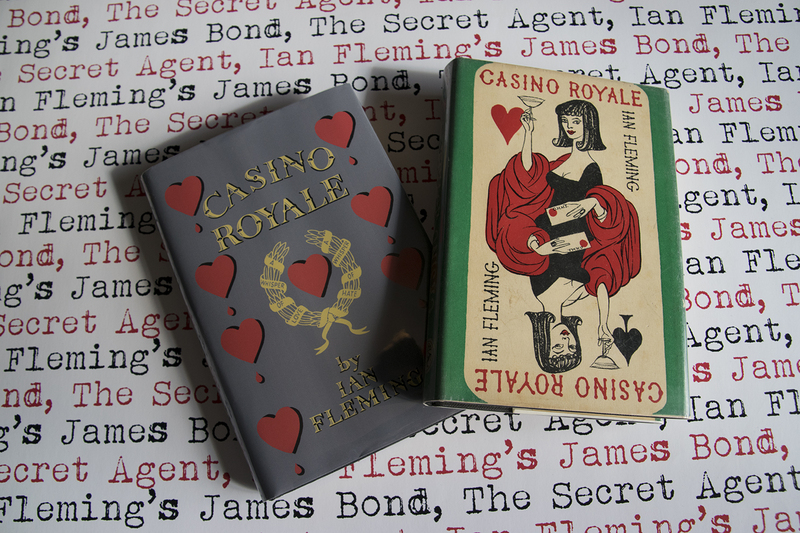 Dust jacket for the first edition and the forth edition of Casino Royale.